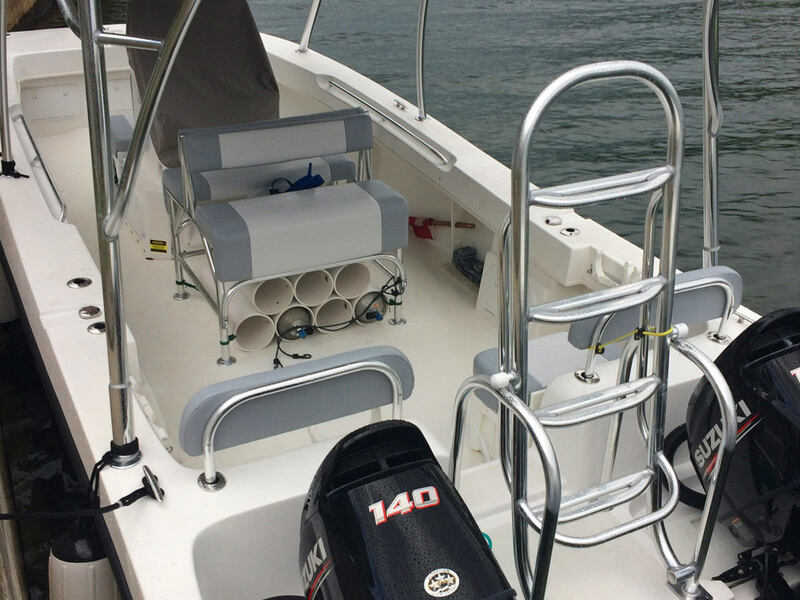 Seasoned divers and families alike will appreciate the features and layout found aboard this family-friendly diving platform. 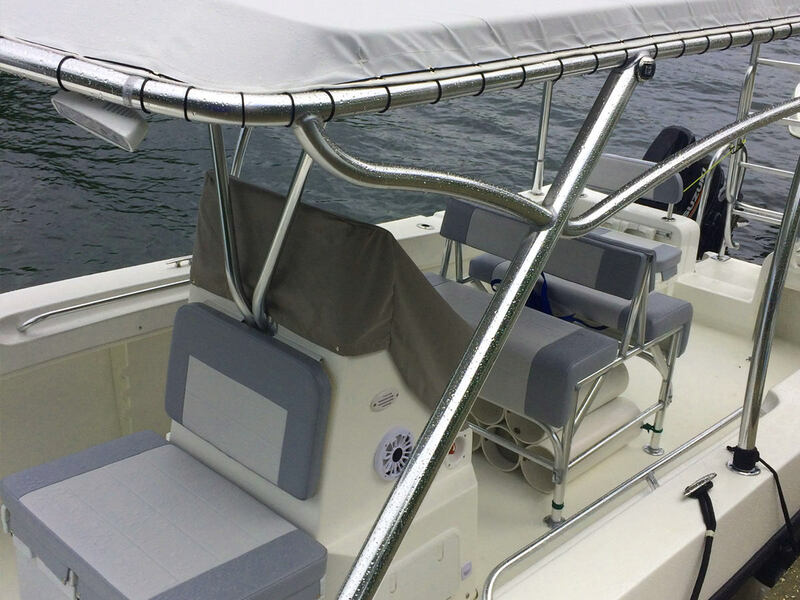 The 26ft Sea Vee is the boat of choice for anyone that needs a stable dive platform in a spacious 26-footer that handles open seas without a problem. The boat offers a fully covered deck to keep you in the shade. 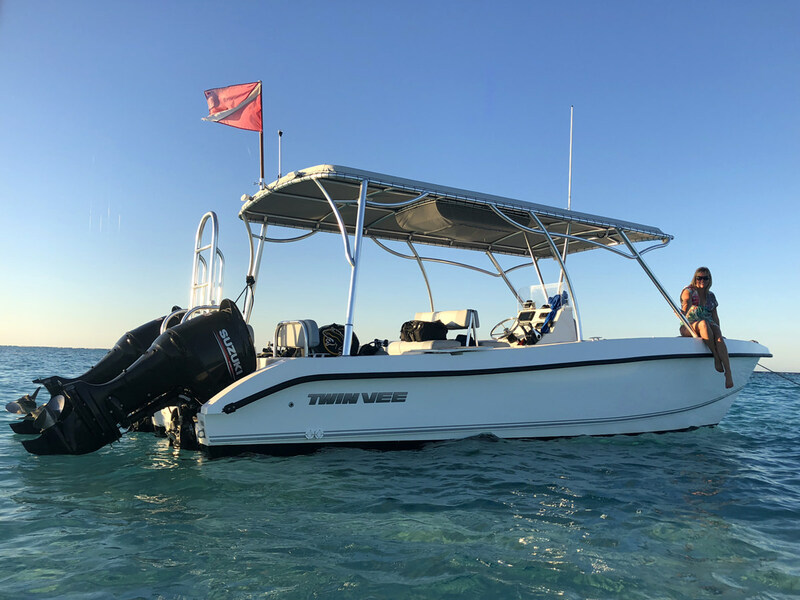 This Twin Vee was custom made for Diving and Snorkeling trips and is fully equipped with good electronics and an experienced crew who know the local waters. The boat is suitable for a max of 6 divers or 12 snorkelers and comes with a captain and divemaster. This 2 hour trip will take you to any of our amazing snorkeling spots in the North Sound Lagoon with its calm, crystal clear waters. Includes: all snorkeling gear is provided as well as food to feed the stingrays and iced water. max capacity 6 divers/5 fishermen/10 snorkelers. This 4 hour trip will take you to any of our amazing snorkeling spots in the North Sound Lagoon with its calm, crystal clear waters. Includes: all snorkeling gear is provided as well as food to feed the stingrays and iced water. This approx. 8 hour trip will take you to any of our amazing snorkeling spots around the North Sound Lagoon with its crystal clear waters. Includes: all snorkeling gear is provided as well as food to feed the stingrays and iced water.